Perfect the craft of creating fruit, vegetables, meat, fish, cheeses, bread, and pastries in marvellous detail - right down to the earth on your potatoes! The projects illustrated are quite amazing and inspirational. 144 pages with 700 colour photos. Step-by-step guides show how to create mini works of art in clay and set them in context within market stalls and other display items. 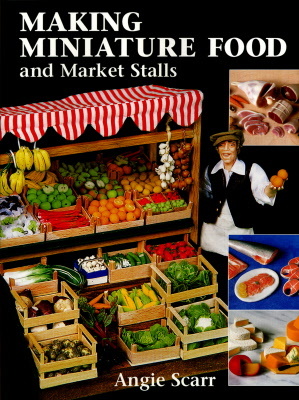 Projects include a bakery, a delicatessen, a meat stall, and a fruit and veg stall.